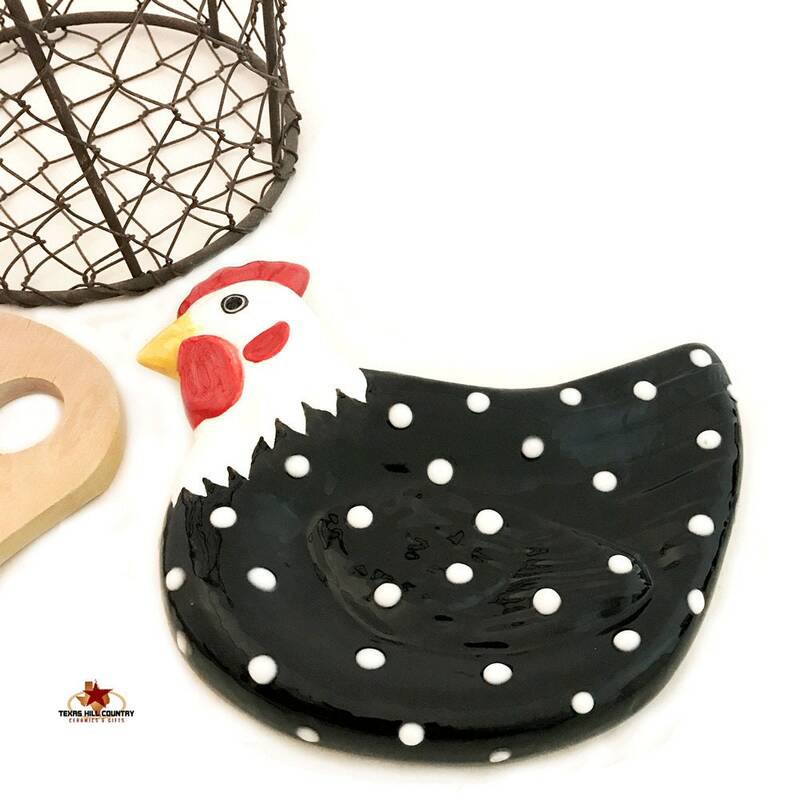 This ceramic Chicken spoon rest will help keep stove tops clean as well as keep a spoon handy for stirring. 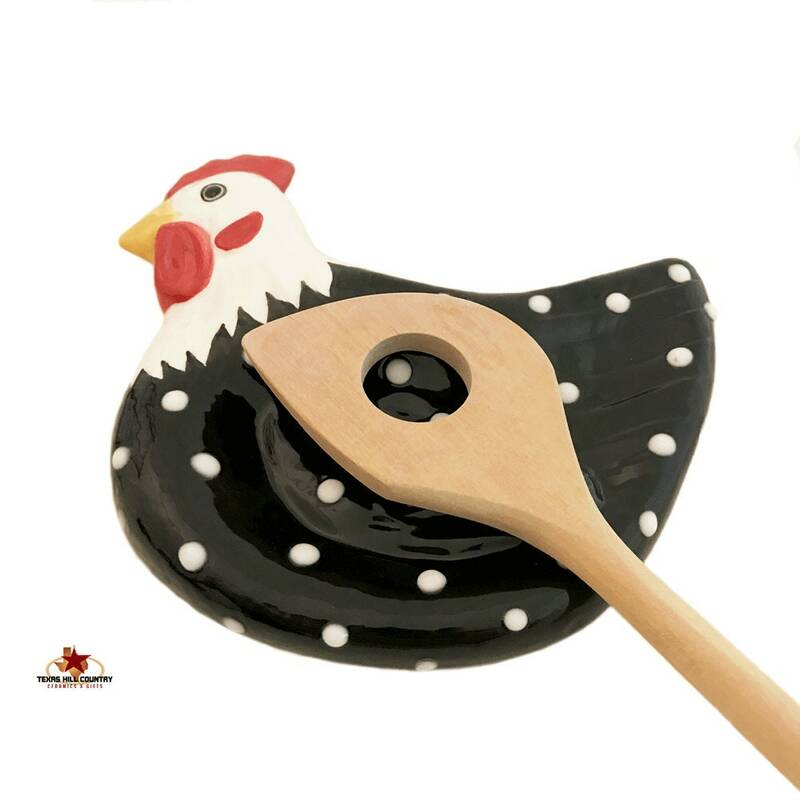 The spoon rest features a black and white hen, the body is black with white dots, it has a red comb and golden yellow beak, the head and neck is white. 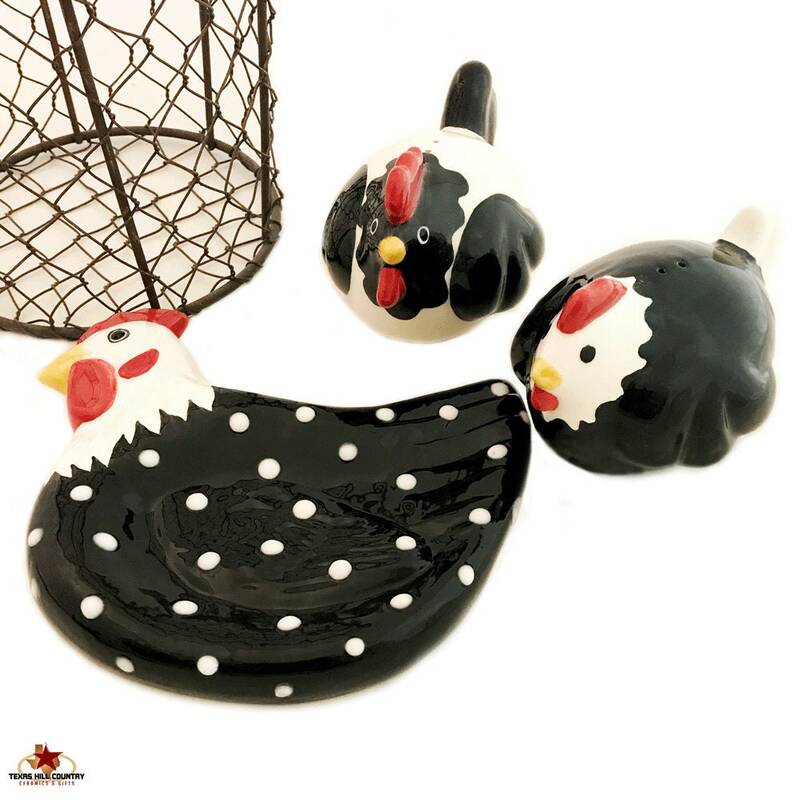 The entire rooster spoon rest is glazed for easy care. 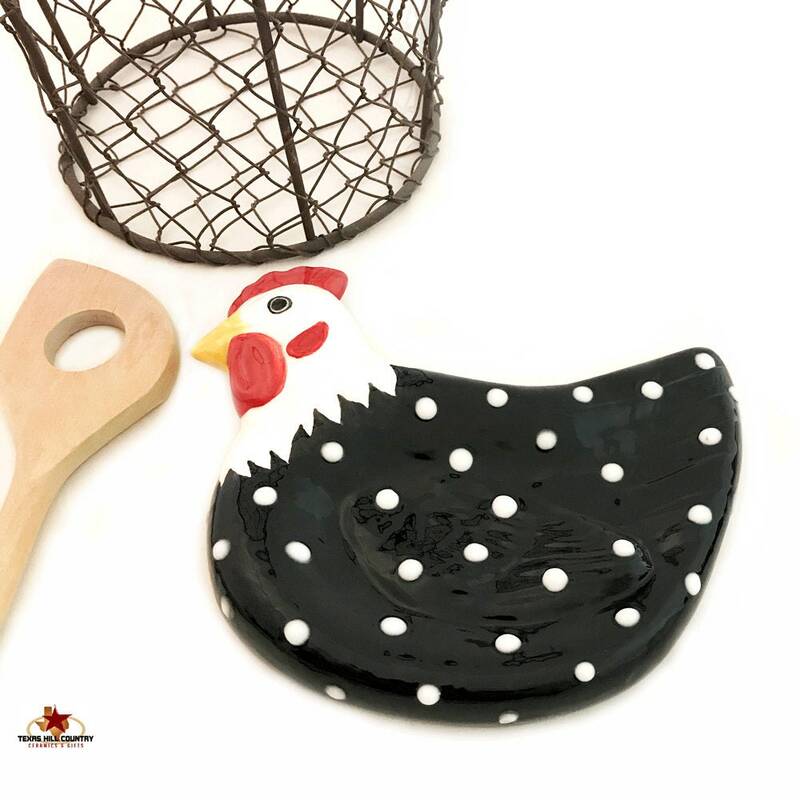 This chicken spoon rest has ample space to handle large drippy spoons or other cooking utensils. 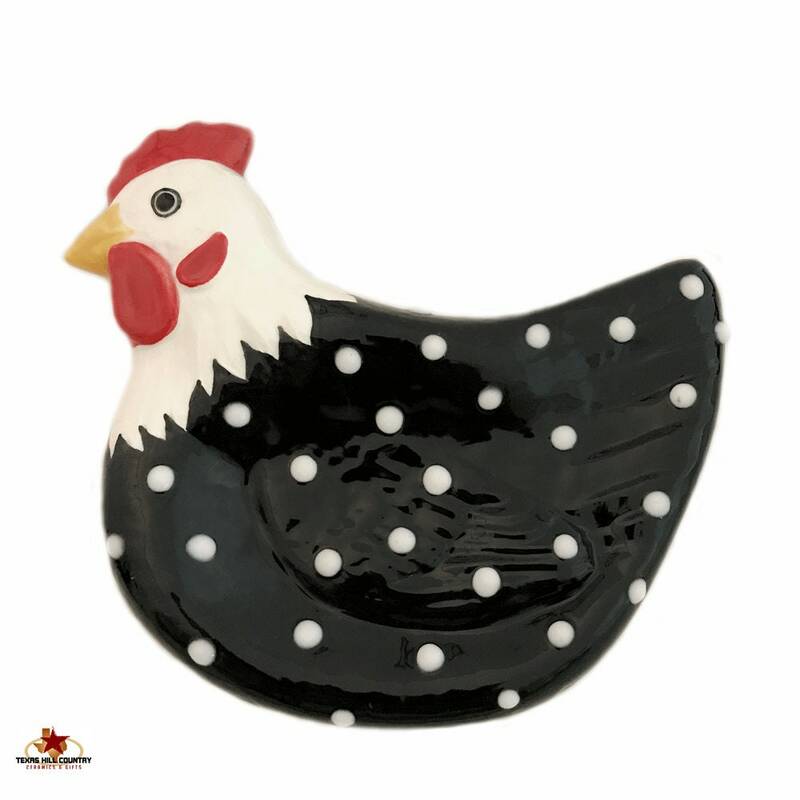 This listing is for 1 chicken hen spoon rest only. Coordinating items are sold separately. Cast from a vintage plaster mold with domestic clay slip it is kiln fired a minimum of 2 times. During the finishing process I use many techniques and lead free glaze to achieve the final piece you see. The process I used to finish this piece makes it dishwasher safe and the colors or design will not wash off, fade or peel. Great addition to any kitchen counter or stove top.